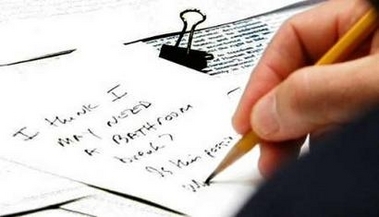 For anyone who didn’t see it, here’s a low res copy of the photo taken at the UN World Leadership Summit of George Bush asking Condoleeza Rice if he can go to the loo. I can understand a guy’s need to go use the gents room, particularly in a long meeting in which he probably drank lots of that free water (who DOESN’T drink all the free water they can get at special events?) but I’m a bit curious as to why he feels the need to ask permission… or is he just seeking advice? Either way, I think it highlights the president’s reliance on others for making decisions – the problem with George isn’t that he’s a total jerk (though he may be, who knows…); the problem is that he makes his decisions based on advice from a bunch of stupid-heads.